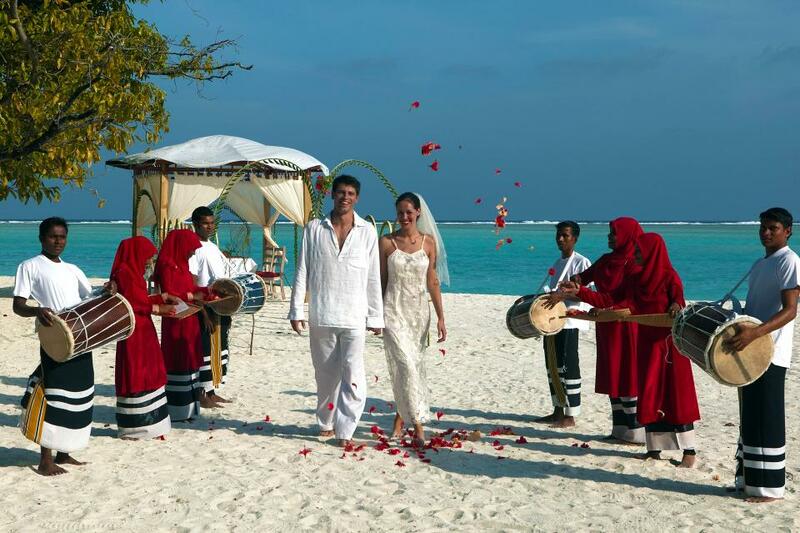 Sunny tropical islands with palm trees, white sands and blue lagoons are the epitome of romance, which is why the Maldives is the perfect honeymoon destination. There are few resorts with only for Adults and here is a list of resorts best for Honeymooners and Adults. Experience an island paradise of chic simplicity in a serene adults-only tropical setting replete with soft white sand and azure waters at Anantara Veli Maldives Resort. Relax with your loved one, or friends in the over water bungalows of our Maldives resort as a spectacular selection of sea life swims beneath you. Dive into an array of water sports in the tranquil surrounds of our island resort’s crystal clear lagoon. Unwind or discover a path of wellness at the Sundari Ayurvedic Spa with a range of treatments to soothe body and mind. Anantara Veli is perfectly suited to couples or groups of friends looking for a relaxing island hideaway where turquoise waters beckon from your choice of intimate accommodation bungalows, some with direct lagoon access. Unwind on a sun deck overlooking the palm fringed island and pristine coral reefs in the South Malé Atoll, just 35 minutes from Malé International Airport. The perfect romantic getaway is provided for couples, whether on a honeymoon or another special occasion with a host of dining options of various world cuisines, premier five star Maldives resort facilities such as an infinity edge pool and fitness centre, as well as a multitude of water sports, from diving to surfing, deep sea fishing and sailing. 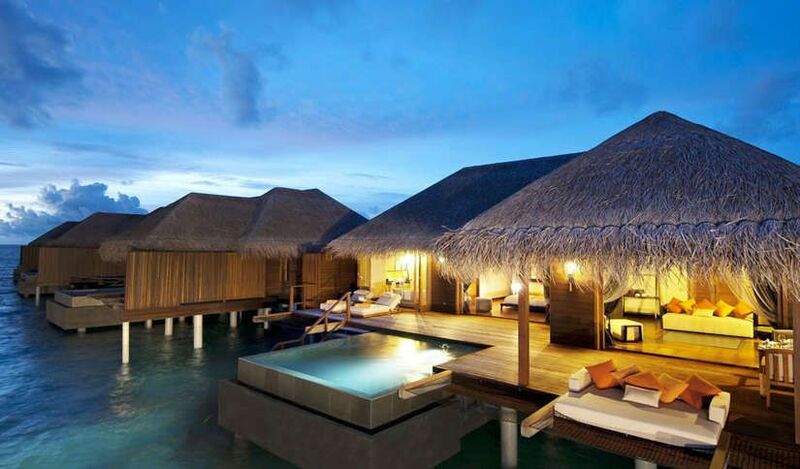 At our stunning Maldives resort, you can unwind any way you choose. Children and families are most welcome to stay on our sister resort, Anantara Dhigu, which is just minutes away and offering a children’s club, family friend accommodation, as well as a range of activities and facilities specially designed with families in mind. In addition, families are able to dine at Baan Hurraa, Origami and 73 Degrees restaurants on Anantara Veli for dinner before 9.00 pm. 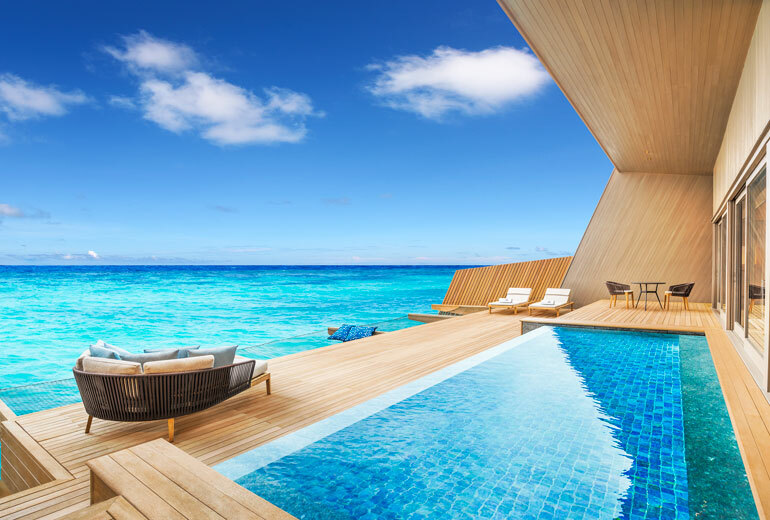 Welcome to Adaaran Prestige Vadoo, the prestigious Maldives Luxury Resorts, where time ceases to exist and the voice of the Indian Ocean beckons you to her shores. As the gateway to the South Atolls, Vadoo possesses its own exotic reef teeming with vibrant aquatic flora and fauna. Awarded as the World’s Leading Water Villa retreat at the World Travel Awards in 2010, Adaaran Prestige Vadoo is a luxurious Maldives Island resort that stands out amongst the best. The list of indulgences that awaits you at our Maldives Island resort can only be matched by the captivating lushness of the surroundings. Less than 20 minutes away from Ibrahim Nassir International Airport by speedboat, set on a pristine island blessed with tropical beauty in North Malé Atoll, Centara Ras Fushi Resort & Spa Maldives is an adults-only retreat that is ideal for couples and honeymooners. 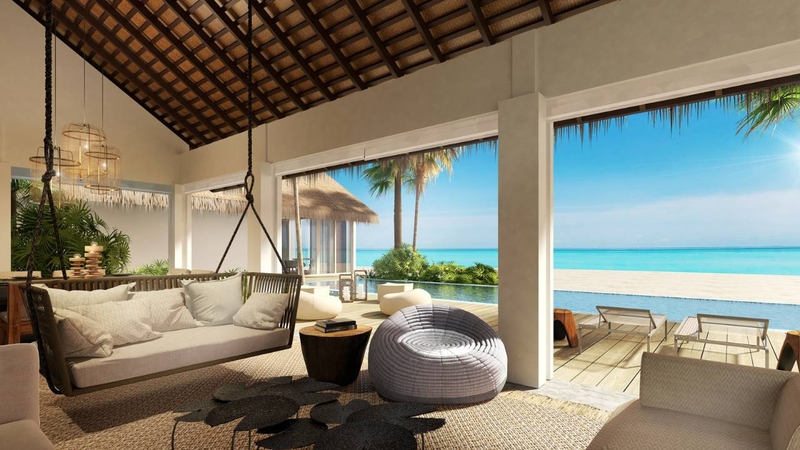 Light and airy villas with wooden flooring and natural fabrics provide sensational views of the Indian Ocean and offer the choice of beachside or overwater accommodation. 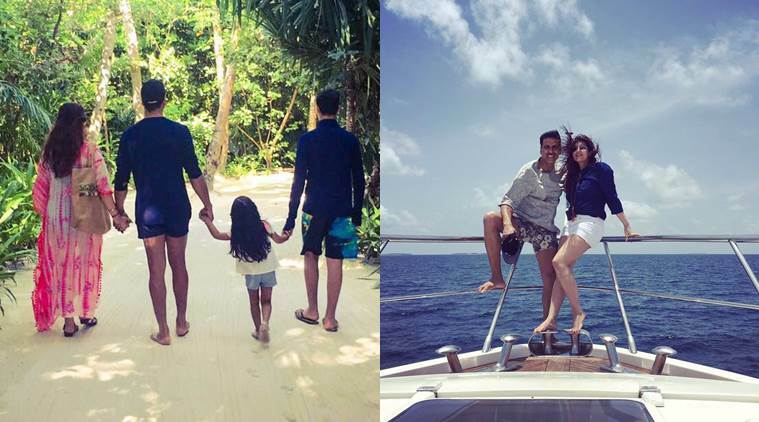 Pure white sand and a sparkling blue lagoon make this a perfect playground for beach games, snorkelling and water sports, while the magical underwater world of some of the top dive sites in the Maldives are reached within less than half an hour by dhoni. Exciting dining with a choice of dining programmes, along with a sublime spa, make this intimately scaled resort a haven for those seeking a tropical escape. As an adults-only resort, guests must be aged 12 years and above. From its personalised service and sophisticated cuisine to its distinctive design, authentic culture and calming spa, our Maldives luxury resort works hard to tailor the experience to your needs. 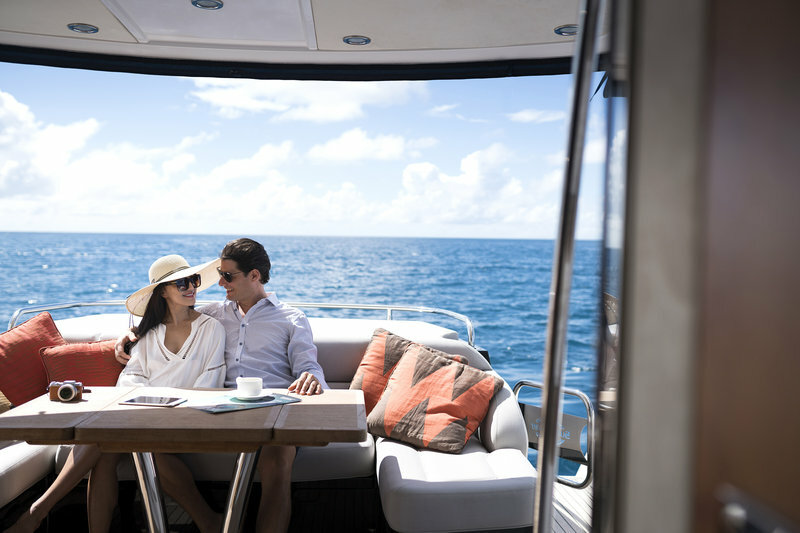 We can orchestrate customised cruises to neighbouring islands and beaches; plan private dinners at secluded locations; arrange yoga, diving or snorkelling; and create adventures for families travelling together. Indulge in an exotic escape from the stress of daily life. Be whisked away by seaplane to our blissful island resort at the award-winning Conrad Maldives Rangali Island. 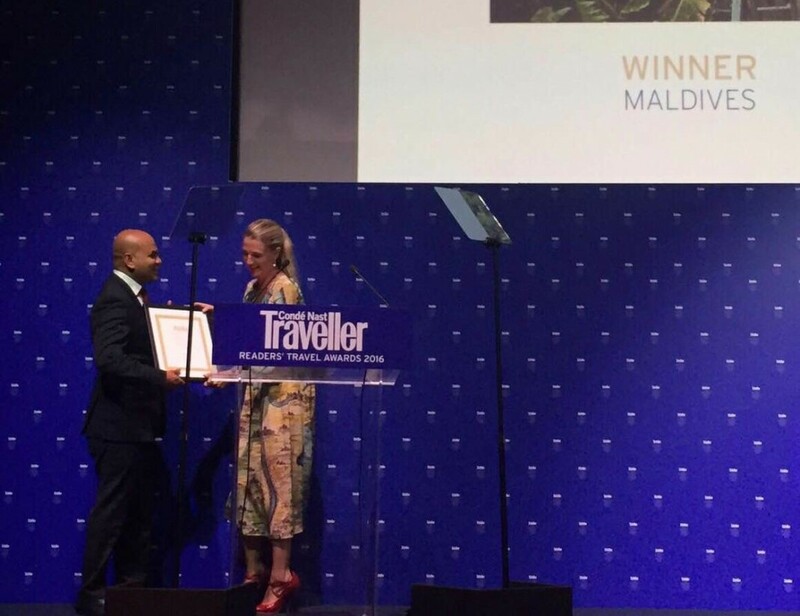 The resort, renowned for its exceptional hospitality and luxury setting, has been recognized as the Indian Ocean's Leading Hotel 2016 & 2015 and the Maldives' Leading Water Villa Resort 2016 by the World Travel Awards. Our resort delivers inspired experiences – from navigating aquatic gardens to swimming with whale sharks and undersea dining. Soak up the lush tropical surroundings and unwind to nature's acoustics with mesmerizing cocktails, or take in a beautiful Maldivian sunset with a cruise on the Indian Ocean. A dining destination awaits gourmands with 12 award-winning restaurants and bars including the world's first undersea restaurant and the Maldives' first celebrity Chinese restaurant. 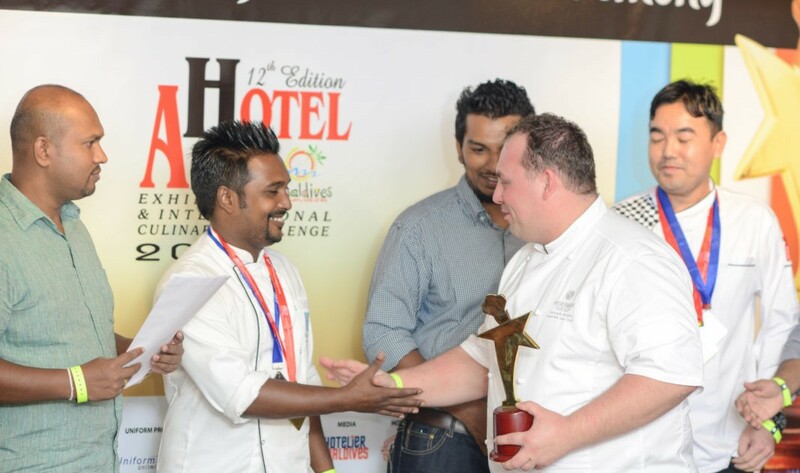 Conrad Maldives was named the Indian Ocean's Leading Culinary Resort 2015 by the World Travel Awards and is a multi-award winner at the World Luxury Restaurant Awards 2016. Find complete peace and serenity at one of the resort's two award-winning spas set on stilts above the lagoon. The Over Water spa on Rangali Island is complete with glass-floored treatment rooms. At the end of the day, rest in the lap of island luxury in one of our spacious Water Villas featuring contemporary island-inspired decor and open designs. 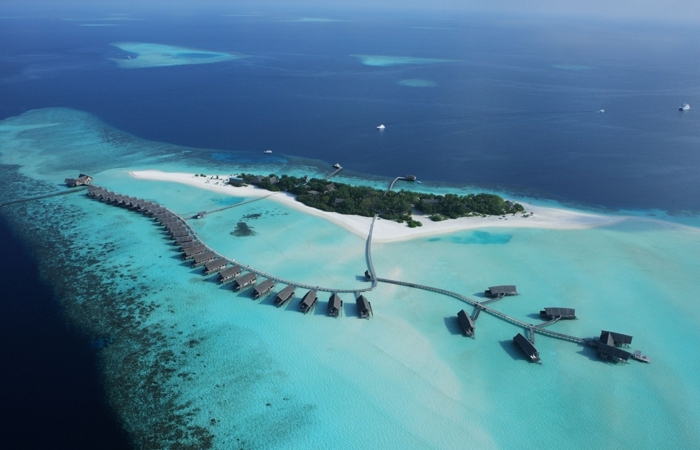 Meeru Island Resort & Spa is surrounded by a beautiful lagoon and long stretches of white, sandy beach. 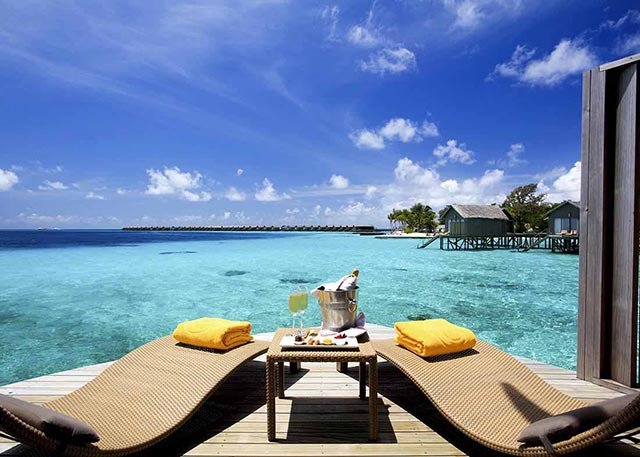 It is the only Resort on the island of Meerufenfushi, North Male' Atoll. Meeru offers much to do, or you can relax and do nothing at all. Go on a cruise, a dive or just totally relax on the beach in the sun. NIKA ISLAND RESORT is the only island in the Maldives where you will find private beaches in every villa, it's the ideal place for complete relaxation. Only 43 villas, all of which boast unique architecture: 6 Garden room, 10 Beach Villas, 10 Deluxe Beach Villas, 3 Family Beach Villas, 3 Family Deluxe Beach Villas, 1 Sultan Suite and 10 Water Villas on an island surrounded by a stunning house reef, luxurious vegetation and all enhanced by our friendly staff who will make you feel right at home.